Hi beautiful friends! Thanks so much for visiting today! I’m sharing a quick sneak peek of our family photo session with my amazingly talented friend Brittany! I chose the baby’s dress first, then J’s shirt, and my dress last! What was I thinking?! It ended up okay but I was on a mad search for a cute dress and found the most perfect red, backless BB Dakota dress at Nordstrom! I love how this dress has a fit and flare, yet is so flattering! I am not usually a backless girl, but I like how I didn’t feel super exposed. This dress would be an amazing pick for holiday party style! If you’re in need of one, check out the link above; it comes in multiple colors, and it’s only $88! Red and leopard has always been a favorite of mine, so I styled my favorite printed Juli Wedges from Sole Society. I wear these lovelies year round because #leopardisaneutral. The lovely Jacqueline and I post our link-ups every Thursday! This week our theme is favorite heels! Or you can pick any fashion/beauty related post to link up! Come back weekly to visit us! This week’s spotlight is Jaime of Regally Soled. Jacqueline and I love her faux fur from last week’s link-up! Be sure to stop by her blog and say hello! NEXT WEEK: for next week’s trend we’re styling green and red! Thanks so much for linking up each week! xo. Love your dress and what a beautiful couple! 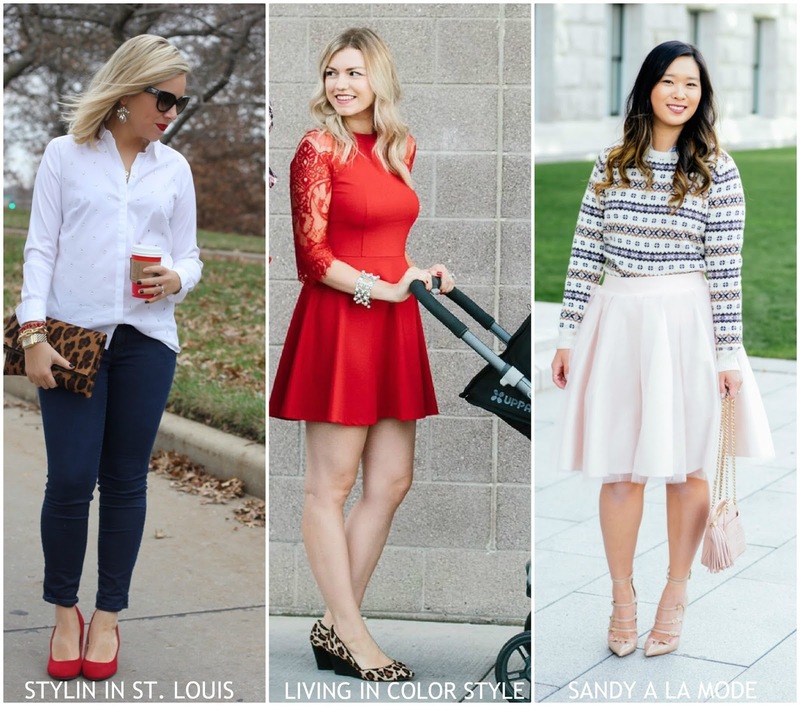 I am loving the red lace dress – so perfect for this time of the year. Your leopard shies match perfectly! such a pretty dress the red really pops! Y'all are so cute! What a precious shoot! Love your dress! Such a beautiful dress and pretty pictures. Such a pretty dress. All of you ladies look so lovely in your heels!